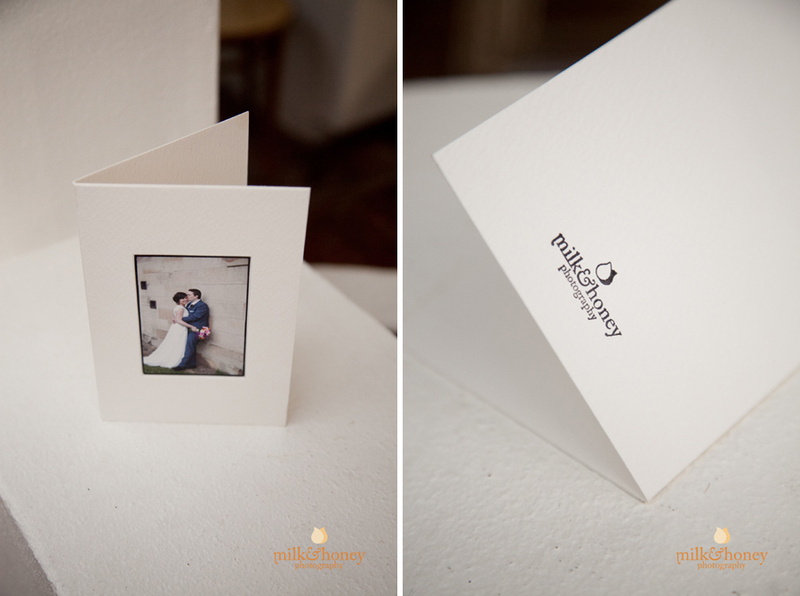 Have you seen our personalised Milk and Honey Photography Thank You cards? We professionally print your wedding, portrait or event photos and set them in quality cotton rag cardstock (the same luxurious stock that we use in your wedding album). Each card is hand-scored and comes with an envelope. 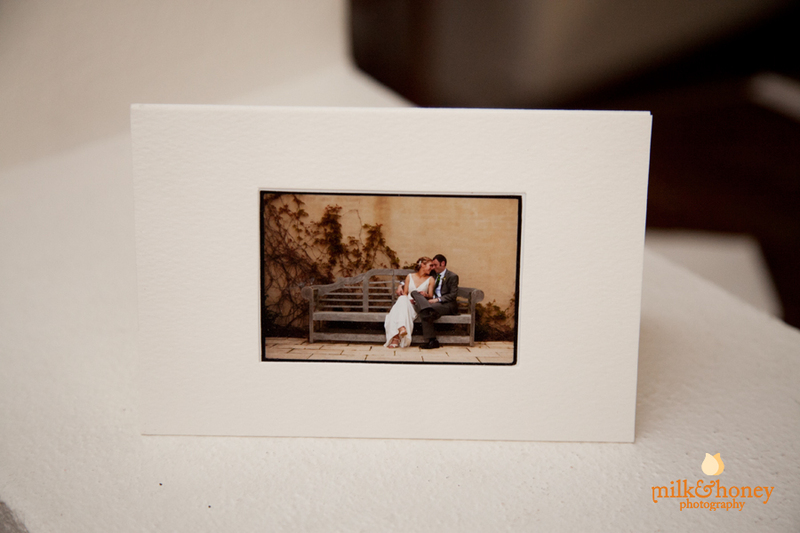 The blank cards make a gorgeous momento of your special event and can be framed after use. 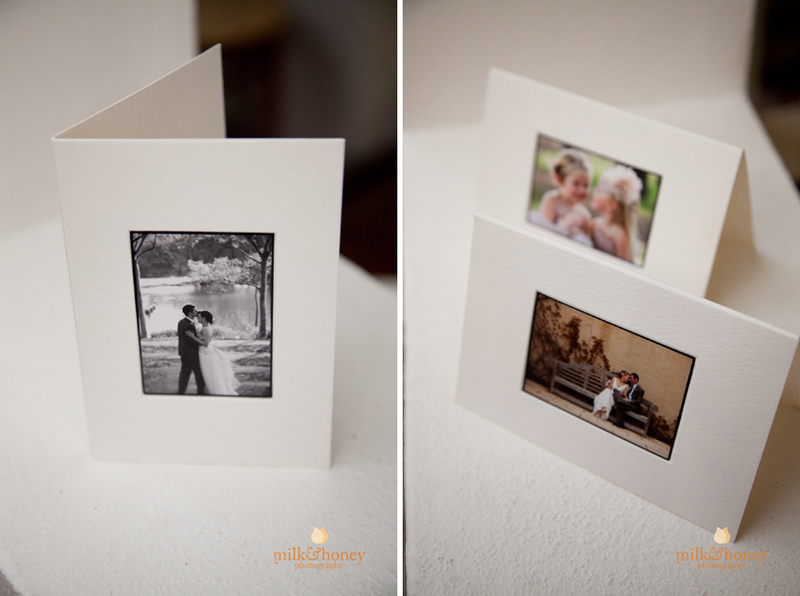 Your favourite wedding photo makes a perfect Thank You card for guests and family and friends. Your engagement and playdate photos are also great for engagement party invitations, save-the-date cards and wedding invitations. Family portrait photos are ideal for Christmas cards and a yearly framed card would make a beautiful series on the wall. You could also use family thank you cards to announce family news such as moving house, or just as all-purpose personalised Thank You cards to have on hand. Photo cards from birthday parties, christenings, bar and bat mitzvahs, graduations, anniversary parties, reunions and other special events are a lovely and thoughtful way to thank guests. Our clients have used photos from belly and maternity shoots for baby shower invitations. Of course newborn photos taken by our team are perfect for classy birth announcements – add your baby’s birth details on the inside or have a calligrapher write them for a special touch. The personalised Milk and Honey Photography Thank You cards are $2.50 each for wedding photos and $5.50 each for portrait photos (minimum order of 10). It’s never too early to be organised for Christmas. Please contact us to order your Thank You cards or for more information.